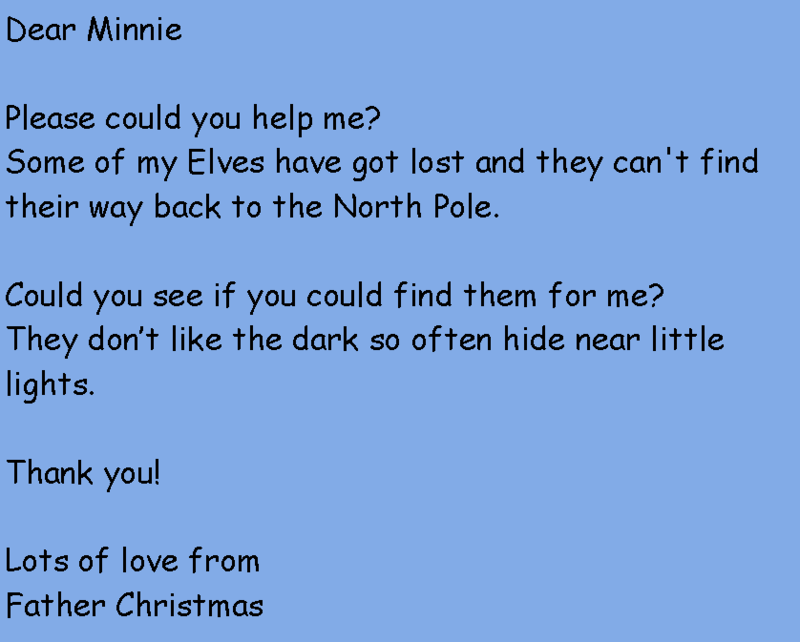 We've been organising numerous treasure hunts & hide & seek games for Minnie recently. Whether inside or outside, she loves to go searching & exploring. So to get us in the Christmas spirit we thought we'd create a festive themed hunt around the garden... with the help of a few Christmas elves! 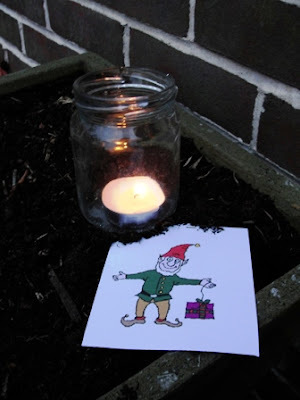 We printed out several copies of this little elf & hid them around the garden. 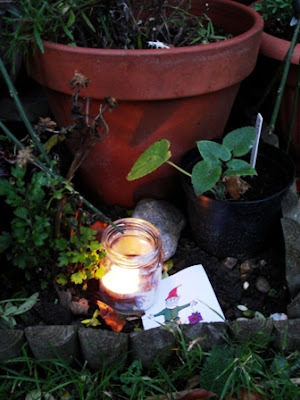 As it was mid-afternoon when we put them out & the light was beginning to fade, we placed a jam jar with a nightlight in to help Minnie find the elusive elves. 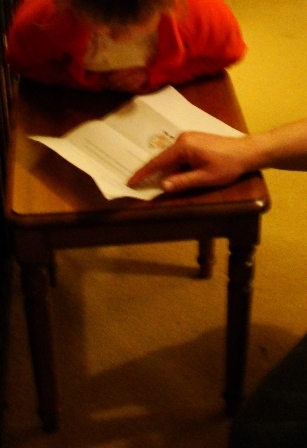 Minnie was so excited to discover the letter & she & Daddy read it through together. 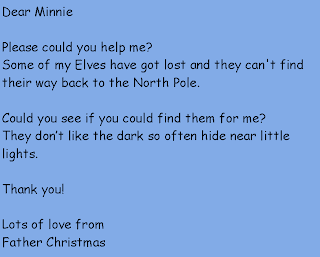 I don't think he had got to the last word before she was out of the door searching for elves! 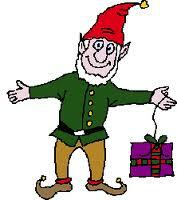 We spaced the elves around the garden which gave her plenty of room to run around as she searched. 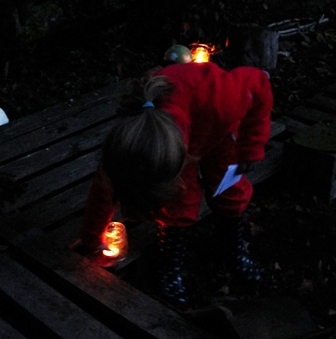 As she collected each elf she blew out the candle beside them - another favourite activity! 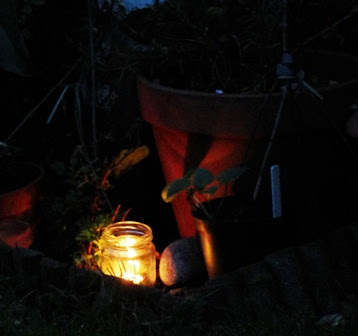 The candles looked so magical glowing around the garden, especially in the butterfly garden with the fairy toadstools.